Embattled U.S. Rep. Blake Farenthold, R-Corpus Christi, will not appear on the 2018 primary ballot after a late push by the state Republican Party to keep him off. Embattled U.S. Rep. Blake Farenthold, R-Corpus Christi, is currently not set to appear on the 2018 primary ballot after a late push by the state Republican Party to keep him off. The Texas GOP had until the end of Tuesday to send the names of all its primary candidates to the secretary of state and left out Farenthold, according to the party. The decision came hours after a federal court hearing that cleared the way for his exclusion, though questions remain about potential legal challenges in the lead-up to the March 6 primary. The move by the party quickly drew a legal challenge from the Texas Democratic Party, which said it filed a lawsuit in federal court to keep the state GOP from "rigging the ballot." But the Democrats dropped the lawsuit hours later, following an oral hearing where their motion for a temporary restraining order was denied. In a statement Wednesday, Texas GOP Chairman James Dickey cast the decision as consistent with Farenthold's desire not to appear on the ballot, though Farenthold, facing a series of sexual harassment allegations, did not make that clear until after the appropriate deadline for candidates to withdraw. The party has contended it has a right to not be forced to associate with a candidate who no longer wants to run. "I am pleased to be able to grant Congressman Blake Farenthold’s request to withdraw his name from the Republican primary," Dickey said. "We look forward to electing a strong Republican to represent Texas’ 27th District in 2018." "Texas Democrats will not stand idle while Republicans rig the ballot," Gilberto Hinojosa, chairman of the Texas Democratic Party, said in a statement. "Only voters have the power to choose who leads our state and nation, not politicians and party officers in backroom decisions. Last we checked, this was Texas not Russia." 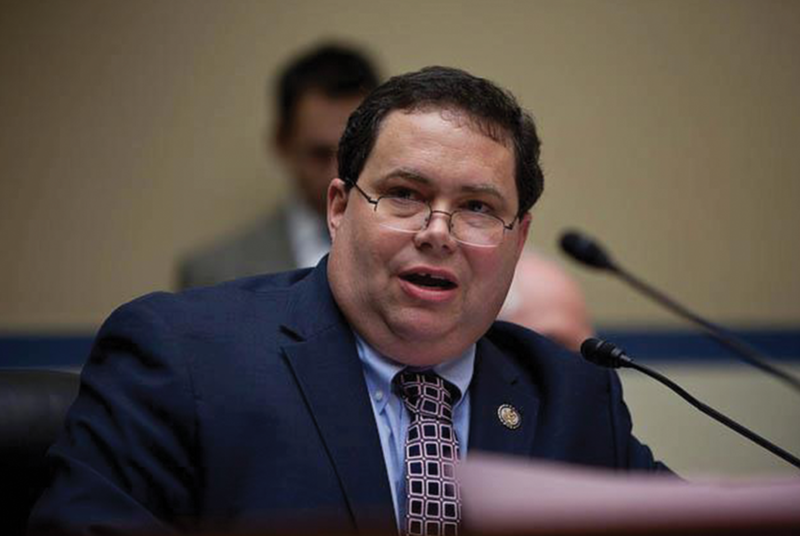 The drama began Thursday, when Farenthold announced that he was not seeking re-election in 2018. However, he had already filed for another term by the Dec. 11 deadline and missed the deadline the next day to withdraw. That seemed to cement his place in the primary, where he had drawn a half-dozen opponents. But the Texas GOP sued the secretary of state Friday to keep Farenthold's name off the ballot, citing its constitutional right to freedom of association. The state, the party said, cannot "force any political party to be represented on the primary election ballot by a candidate with whom it does not wish to associate." In the run-up to the lawsuit's filing, Farenthold had formally asked the party to remove him from the ballot, even though it was too late. In a federal court hearing Tuesday morning in Austin, a lawyer for the state, Esteban Soto, emphasized that the secretary of state has no authority to force the party to turn over Farenthold's name as part of its list of all primary candidates. That argument led Texas GOP attorney Chris Gober to move to drop the lawsuit, which Soto did not oppose. By Tuesday afternoon, the lawsuit had been dismissed. That opened an avenue for the party — in Gober's telling — "not to submit Blake Farenthold’s name and the secretary of state not to do anything about it." Yet there could still be legal trouble ahead for the party due to its decision to omit a candidate who filed and did not withdraw by the deadline. That's against the law, Soto said in court, even as he made clear the secretary of state is powerless to stop it. Both sides acknowledged the party's decision could still draw legal scrutiny, perhaps from a candidate or voter in Texas' 27th Congressional District. "It’s certainly a possibility," Gober told reporters, "but those are legal proceedings that would play out in time with presumably a plaintiff, a defendant and people with the ability to enforce that, whereas the secretary of state’s office has made the assertion they do not." The primary race to replace Farenthold has been underway for weeks. A half dozen Republicans filed for the seat, including Bech Bruun, the former chairman of the Texas Water Development Board, and Michael Cloud, a member of the State Republican Executive Committee.